The VA home loan program was created over 65 years ago to help those who served in World War II assimilated back into civilian life. Since its inception, the program has helped over 20 million veterans and active-duty service members finance their home or VA-approved condo; however, even though the program specifically caters to service members, potential applicants need to consider if the program is right for them, especially active-duty members. Let’s start by considering what benefits the VA home loan offers. When polled, over 80 percent of veterans cited the number one benefit of the VA loan program is the zero money down option. The military lifestyle is filled with constant moves and deployments, which makes it hard to put away a large down payment that conventional programs require. Another important benefit is the high loan limits. The base loan limit for most counties is $417,000; however, this number can eclipse $1 million in high cost counties. In addition to high loan limits, veterans also do not have to pay any private mortgage insurance, due to the VA funding fee. The funding fee is a small percentage applied to the total of each loan that keeps the program alive for future generations, as well as out of taxpayers’ pockets. Every military member, former or current, should consider if they are ready to take on a home loan. This applies specifically to active-duty members. Many active duty members have families and prefer to live off base to collect a Basic Allowance for Housing (BAH); however, one’s BAH rarely covers all the expenses and active-duty members have a strong chance of being re-stationed or deployed. On average, a soldier is re-stationed every three to four years; however in some cases it can be much sooner. This leaves the risk of having a home sitting on the market for possibly months at a time without being sold. This can cause quite a problem for one’s credit if the service member can’t get the home sold before moving. In this instance, a service member should look for protections under the Servicemembers’ Civil Relief Act, which will allow them a period of time to get finances in order and put bills on standby during a time of deployment and up to three months after. Taking on a home is a huge responsibility and shouldn’t be taken lightly. Good thing the majority of service members see it that way as well, which is easily shown by the VA loan program having one of the lowest foreclosure and delinquency rates in the industry for the past three years. After budgeting and deciding if this is the best decision for you, you may be interested in who’s eligible, and the good news is, almost every service member is eligible! Those who are considered eligible for the VA loan program have completed one of the following: served on active-duty for a minimum of 90 days consecutively during wartime, 181 days consecutively during peacetime, served in the National Guard or Reserves for a minimum of six years, or be the surviving spouse of a fallen service member. Veterans must also have been discharged in a non-dishonorable manor. If you completed one of the service requirements above, then your next step is to obtain or Certificate of Eligibility, which can be done through the VA or a VA-approved lender. Homeownership is a rewarding experience and it is a good thing there is a program meant to reward our veterans for their dedication to this country. 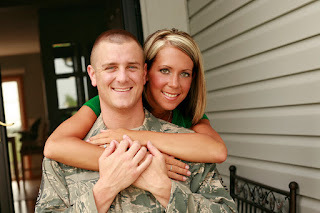 Deciding if the program is right for you can be a difficult choice and it’s always important to never bite off more than you can chew, if you have any questions on this decision, it is best to talk to a VA-approved lender or personal finance specialist. Another advantage of VA home loans is if you are facing mortgage foreclosure and cannot seem to negotiate with the lender, quite often a VA representative will step in as mediator to arrange ways to bring your mortgage current. It does seem like a risky decision if you know you may have to uproot on a semi-regular basis. I'm almost surprised that so many of these loans have been made, on that basis. VA Home loans nowadays are increasing and is getting more reliable nowadays because it has more benefits that the other loan service offered. However I am confused with something, is it still possible for a home loan borrower's credit score to be affected if ever he/she wasn't able to pay the loan in due time even though it is listed in the major benefits that "No pre-payment penalties"? How does anyone know what companies offer these programs and if they are reputable and certified? At least these sorts of loans provide options for homeowners. a best guide on home loan topic. It covers all the essential points and I really like this part of the information.